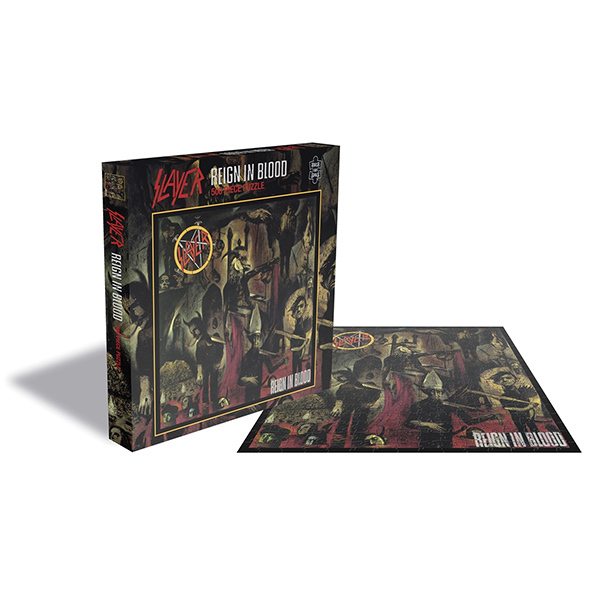 “Reign In Blood” is the third studio album by American band Slayer, released on October 7, 1986 by Def Jam Recordings. It was also the band's first collaboration with producer Rick Rubin, whose input helped the band's sound evolve. The artwork was designed by political illustrator Larry Carroll, and was featured in Blender Magazine’s 2006 "top ten heavy metal album covers of all time. Now, the artwork is available as a 500 piece jigsaw puzzle printed on high quality board.